The stepson of the driver who was at the wheel when a limo careened off the road and into a parked car over the weekend, killing 20, has spoken out about his stepdad’s concerned comments regarding the vehicle’s poor condition. All 18 passengers, including the driver, were killed Saturday when the limo went speeding down a hill and through a stoplight in Upstate New York, striking and killing two pedestrians before coming to rest in a ditch. The driver, 53-year-old Scott Lisinicchia, reportedly told his stepson Cicero Richards that the vehicles he drove “were junk,” according to the New York Daily News. The company, Prestige Limousine, was owned by Shahed Hussain, a former criminal and FBI informant. In recent years, four out of five of the company-owned vehicles had been removed from service after failing safety testing. Laken Prosser, a local resident who said she used to clean the vehicles used by the firm, noted that the cars were kept terrible and unroadworthy condition. Over 2,500 people came together for an emotional candle-lit vigil Monday in the small town of Amsterdam, New York. The National Transportation Safety Board, which has launched an investigation into the accident, noted during a press conference Sunday that the crash was the “most deadly transportation accident” since 2009, when 50 people perished during the crash of Colgan Air Flight 3407 in Buffalo. 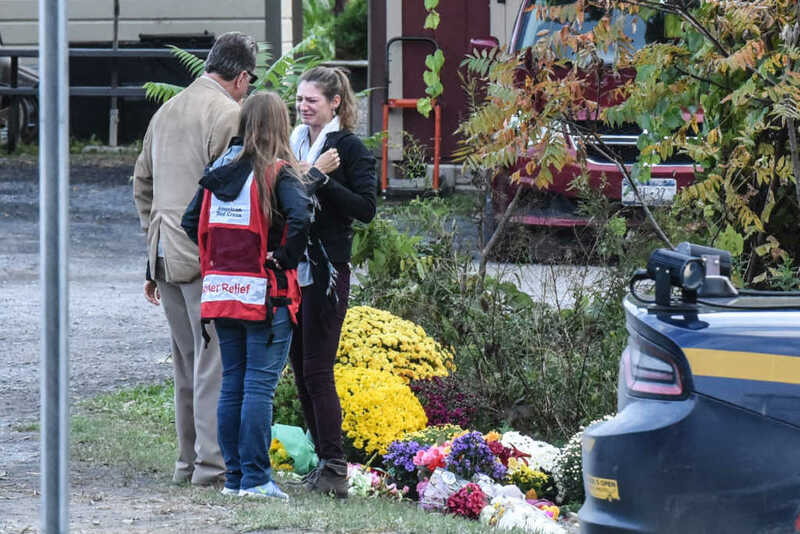 Abby and Adam Jackson were among 20 people who lost their lives when the SUV limousine careened through a stop sign and plowed into a parked vehicle in upstate New York Saturday night. They leave behind their children, Archer, 4, and Elle, 16 months. As of Tuesday morning, the GoFundMe campaign had raised over $94,000, exceeding its target of $75,000.